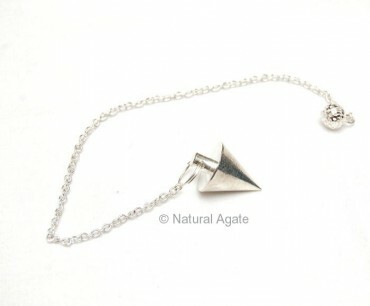 Silver Metal Pendulum is 20-50mm long. It is a nice-looking pendulum that assists you to determine the location of the hidden object like water or minerals. Visit Natural Agate site for more metal pendulums.